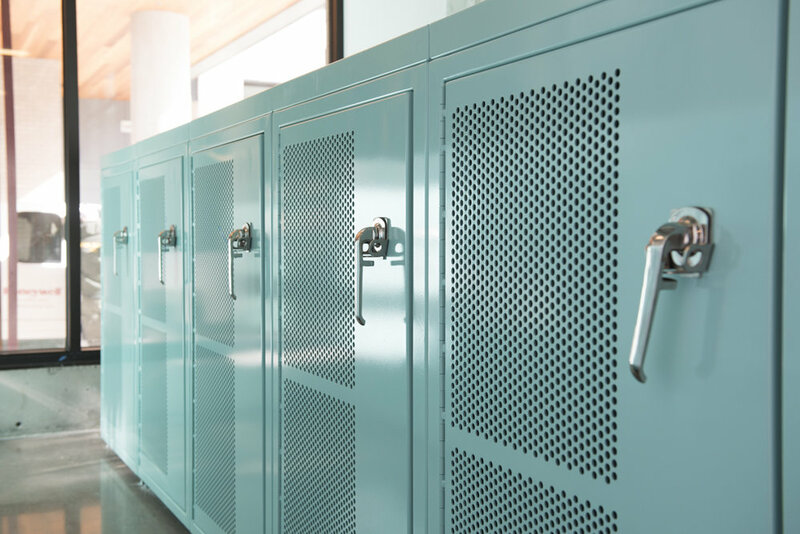 Commercial bike lockers are designed with quality, durability, and security in mind. Bike lockers for your commercial or residential project can be customized with color or site-specific pattern or illustrative perforations. As with most commercial products, pricing varies by volume, timeline, and custom options. The first step is easy: download a spec sheet on any product page, or request a quote. Based in bike-friendly Portland, Oregon, Huntco has been manufacturing top-of-the-line commercial bike lockers for over 30 years. At Huntco, we're committed to creating quality custom and standard bike lockers. Each and every one of our commercial bike lockers is covered by our 2-year warranty. We have new names for some old favorites. To ease the changeover, the old names of our bike lockers are in parentheses.